We never get tired of play food at Babyology and just when you think designers have served up every dish imaginable, something new arrives on the ‘imaginary menu’. 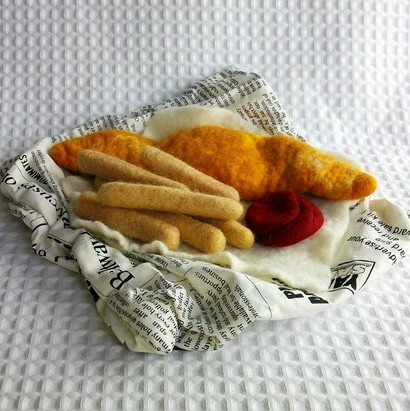 I think the felt food creations from the UK’s Woolly Duck take the cake, the fish and chips and the apple. 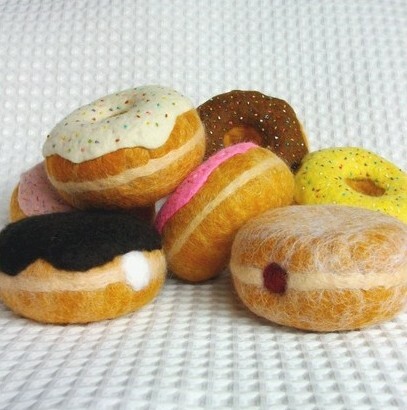 Made of shaped felt, each of Woolly Duck’s food creations is realistic to the last detail. From chocolate-dipped strawberries and wrapped boiled lollies to sugary doughnuts oozing jam and bananas complete with small bruises, each piece is simply delectable. My favourite is the fish and chips which come wrapped in ‘newspaper’ with a dollop of tomato sauce on the side (or mayonnaise or brown sauce if you would prefer). 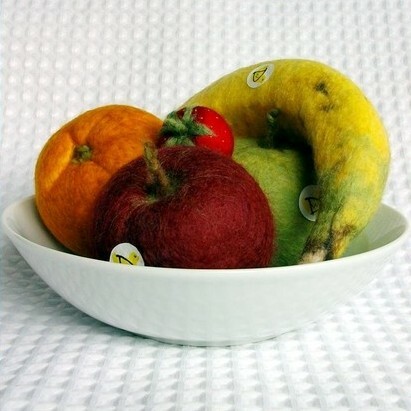 Prices begin at US$14 and Woolly Duck ships to Australia.